Being a native West Virginian the state's railroad history is near and dear to me. While West Virginia's rail mileage once topped out at nearly 4,000 today just over 2,200 is currently active. If you are interested in West Virginia railroad jobs you will most likely be working for a Class I, as both CSX Transportation and Norfolk own more than 2,100 miles of the state's trackage (the rest is home to a few Class III, shortlines). Not surprisingly, coal derives greater than 95% of West Virginia's total originated freight with things like chemicals, stone, waste, etc. making up the remaining 5%. These days Class I railroads offer a wide variety of positions to choose from allowing you to either take an office positions (usually requiring a college degree) or work out "in the field" doing everything from maintaining the track to operating the trains themselves. Very unique in this day and age is the fact that careers such as engineer and conductor, which offer very good pay (particularly the former) on the Class I's, do not require a college education to attain (although it does take both a lot of classroom time and skill on the job to obtain). However, both of these demand an incredible amount of your time (12-hour days) and it's not something that everyone can handle. Wheeling & Lake Erie Railway: The W&LE is primarily located in western Pennsylvania and northern Ohio serving such towns as Pittsburgh, Akron, Toledo, Canton, and Lima. Its history dates back to 1916 but was eventually dissolved in the late 1980s under owner Norfolk Southern. In 1990 the railroad was reborn when the Class I sold off much of its original W&LE trackage and that of historic lines Pittsburgh & West Virginia and Akron, Canton & Youngstown. Today, with trackage rights the W&LE operates nearly 850 route miles reaching Wheeling and Benwood, West Virginia. Visit the W&LE website for job information. Appalachian & Ohio Railroad: The A&O is currently owned by Four Rivers Transportation, a CSX subsidiary. It operates on CSX-owned trackage between Grafton and Cowen, a former B&O line, that spans nearly 160 miles. Visit the A&O website regarding career information. Beech Mountain Railroad: This tiny short line, dating back to 1890, ebbs and flows from dormancy and active status as it serves a local coal mine near Alexander and Palace Valley. Most likely they do not have any openings (they are currently active). However, they may be contacted at; 1005 Glenway Avenue, Bristol, Virginia 24201. 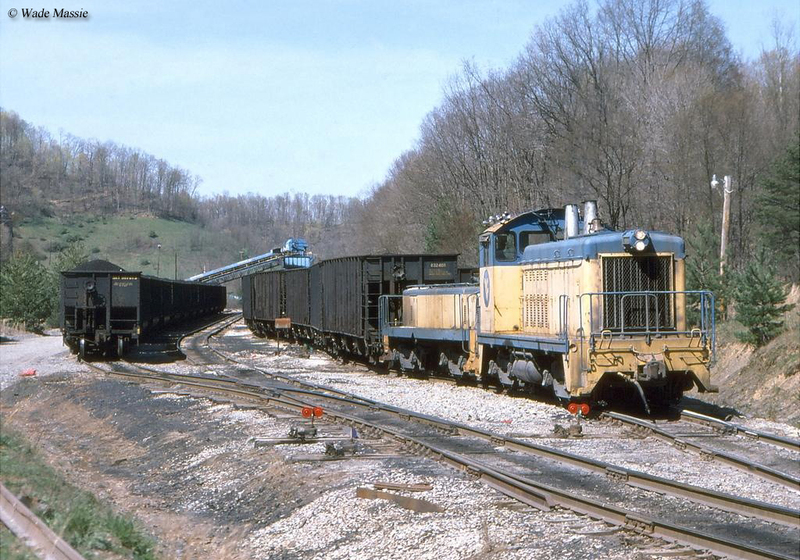 Durbin & Greenbrier Valley Railroad (Oversees freight operations on the West Virginia Central Railroad): The WVC provides freight service on the Western Maryland Railway's former trackage south of Elkins. The railroad also operates excursion trains during much of the year. For contact information please click here. Elk River Railroad: This railroad operates part of the B&O's former Charleston to Grafton line although it is currently inactive aside from storing rail cars at its yard in Gassaway. 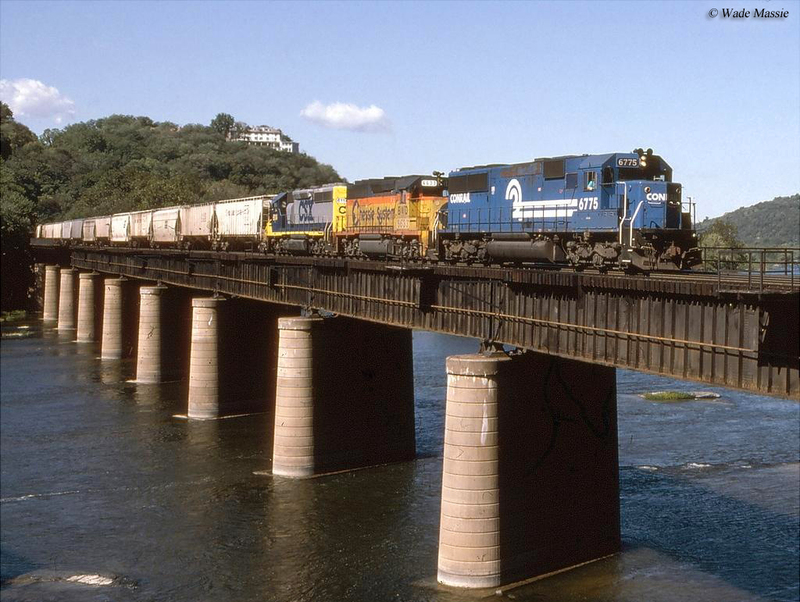 Little Kanawha River Railroad: This little short line began operations in 1989 when it took over a short 1-mile spur in Parkersburg from CSX, formerly owned by the B&O to serve local industries. It remains in service today utilizing a pair of switchers to shuffle cars around their property. Visit their website for contact information. R.J. Corman Railroad: RJ Corman operates a multifaceted rail-related business from operating shortlines to selling locomotives. 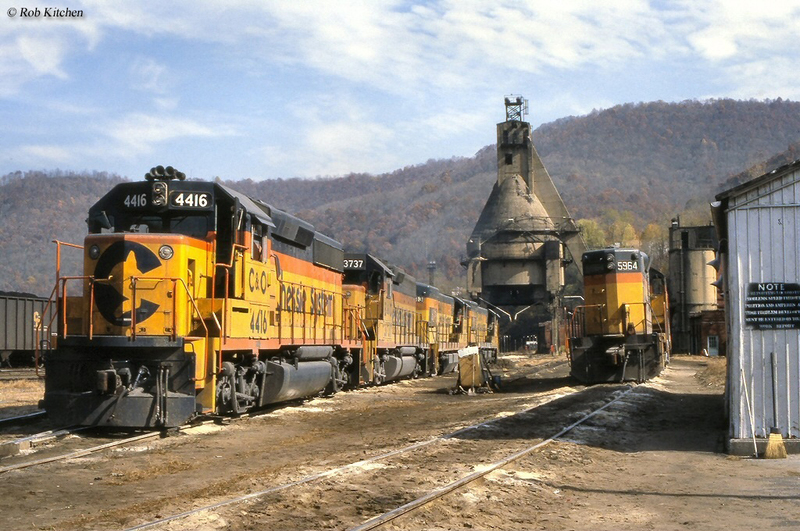 The company's operations in West Virginia currently include a former C&O branch located near Thurmond and a connection with CSX. For all career inquiries please visit RJ Corman's main website. South Branch Valley Railroad: The SBVR is operated by the West Virginia State Rail Authority on state-owned tracks spanning just over 52 miles between Petersburg and Green Spring. The property was originally owned by the B&O and also hosts excursions during the summer months. Address: 120 Water Plant Drive, Moorefield, West Virginia 26836. Winchester & Western Railroad: The W&W operates a 54 mile system between Gore, Virginia (just south of Winchester) and Hagerstown, Maryland. Along the way the railroad passes through the Eastern Panhandle of West Virginia reaching Martinsburg. To contact the railroad; P. O. Box 264, Winchester, Virginia 22604.